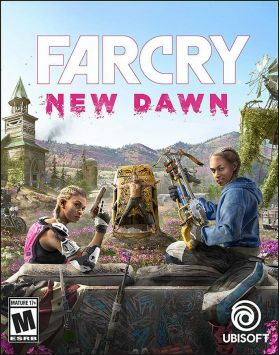 A Transformed World - Seventeen years after a nuclear doomsday, Hope County, Montana, has changed in unexpected ways. 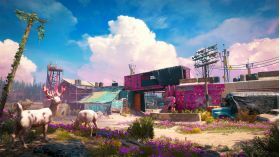 Nuclear winter has given way to a "superbloom," creating a lush, colourful landscape that survivors have begun to re-populate with makeshift buildings. 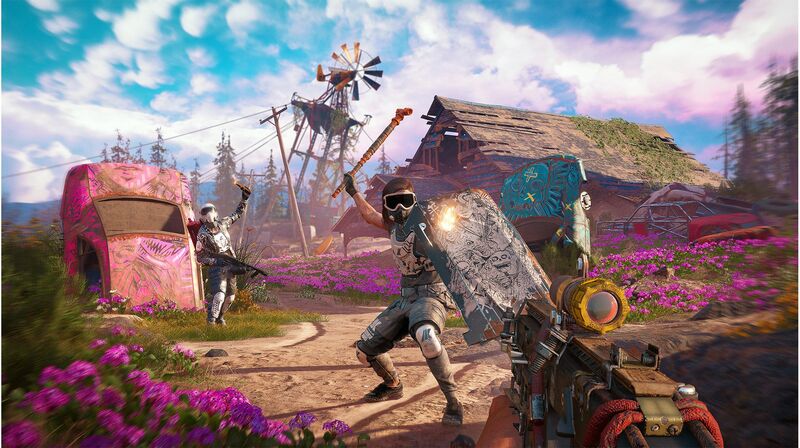 It's a lawless frontier where people are struggling to get by - and you'll be able to experience it all with a friend in co-op, or on your own as a lone gunslinger. 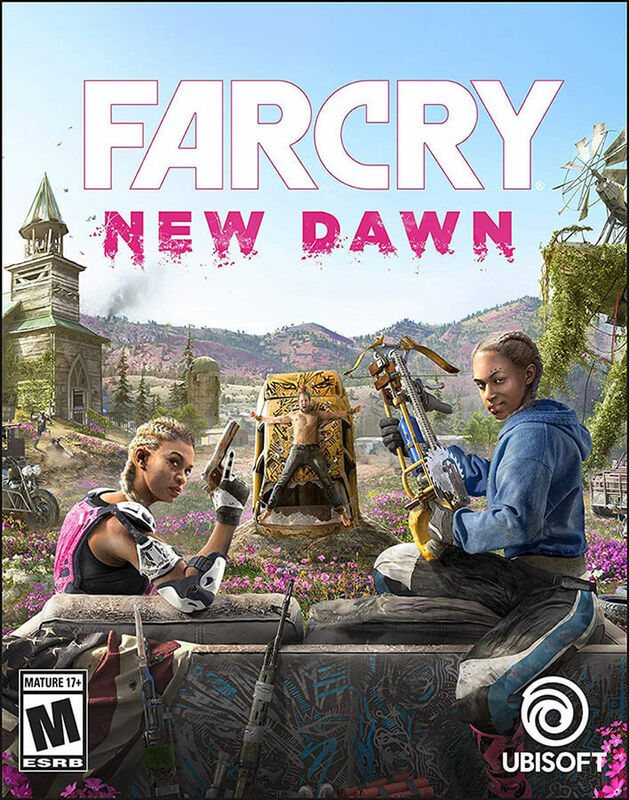 The New Order - After living through the apocalypse, the survivors in Hope County now face a new threat: the nihilistic Highwaymen, vicious scavengers intent on bleeding the county dry. 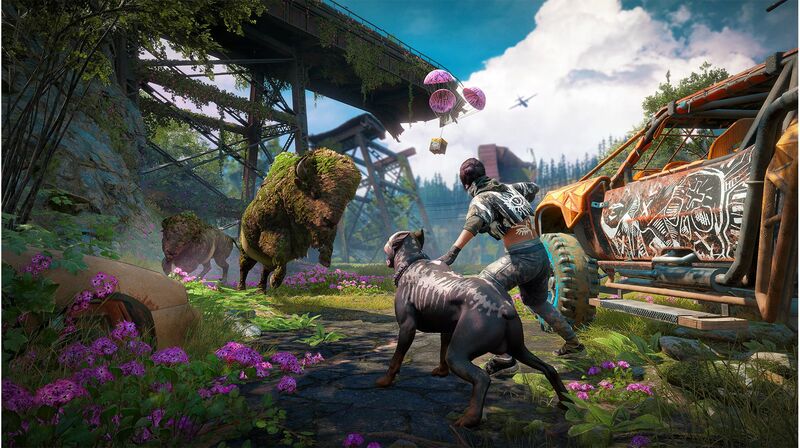 When the survivors put out a call for help to combat this deadly threat, you are quickly thrust into the middle of a new battle for the future of Hope County. Makeshift Arsenal - Since the nuclear apocalypse, survivors have been piecing their shelter, tools, and weapons together from the broken remnants of the old world. The results may look ramshackle, but they'll keep you alive in a fight. Your Homebase will let you construct powerful weapons and vehicles, giving you more options than ever for explosive, over-the-top action. Make New Friends - When anything and everything can happen, it is never too much to have someone watching your back. Whether it's Hurk, a boar, or whoever you want, you can recruit an eclectic cast of Guns and Fangs for Hire to fight by your side. 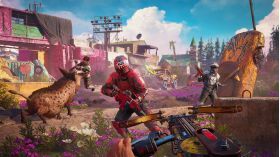 You can even play with a friend in co-op. 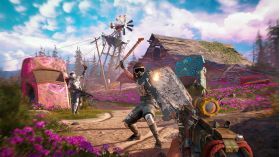 Survive and Venture Beyond Hope County - At the centre of Far Cry New Dawn is your Homebase. Upgrade it to get stronger weapons and gear to help you survive out in the open world. Hope County isn't the only place that's been ravaged by the nuclear apocalypse, and you'll be able to range far outside its borders on Expeditions to visit new territories including swampland, a desert canyon, and the coast.